ATTENTION . U2 fans I have been offered a box for Sunday at the o2 I need a min 10 people to try cover the costs I can have up to 18 people in the box the more I can get the cheaper it will be . UPDATE WE NOW HAVE THE TICKETS IN HAND FOR THIS BOX . ITS IN A FANTASTIC PLACE TO THE SIDE AND JUST INFORNT OF THE MAIN STAGE . THIS WILL BE PART OF THE BOX . I HAVE PAID FOR THIS BOX AND CAN DO THE TICKETS. AT £70 each . I have also had a chat with big wave so this is all above board as it came via my wife's work after some one cancelled the box . 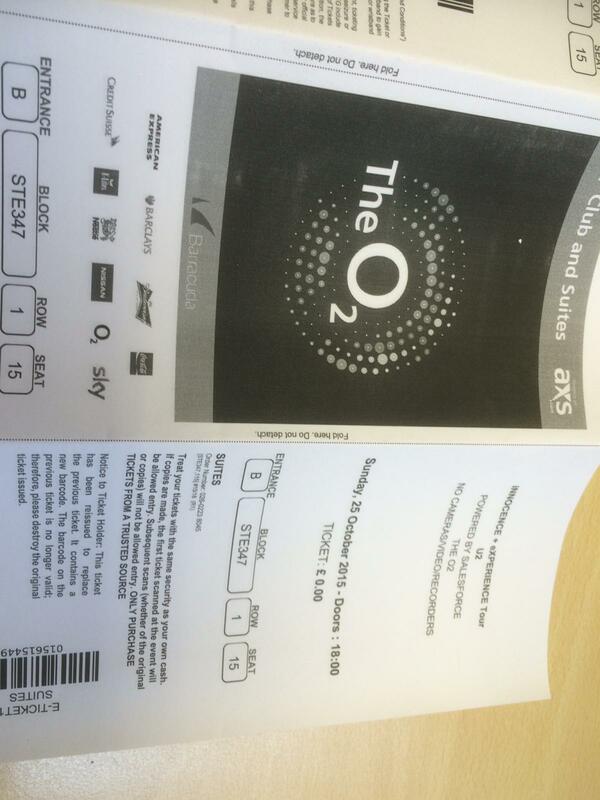 So a box .great seats food and u2 for £70 a head . Interested the leave a massage and I will call any one interested . Can you send me info pliiiiizzzzzzz? These must be the cheapest VIP box tickets ever lol now down to 5 left . I just sent you a PM. I need two for family in the UK. I live in the US. Let me know. Thank you. Are the 2 still available just checking the flight.